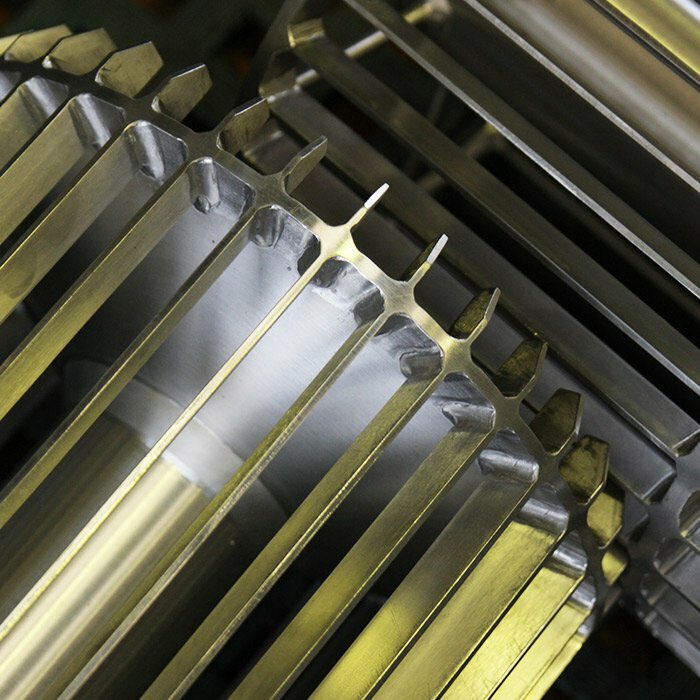 An innovative technique that gives a particularly valuable appearance to the surfaces is that of stainless steel electropolishing. 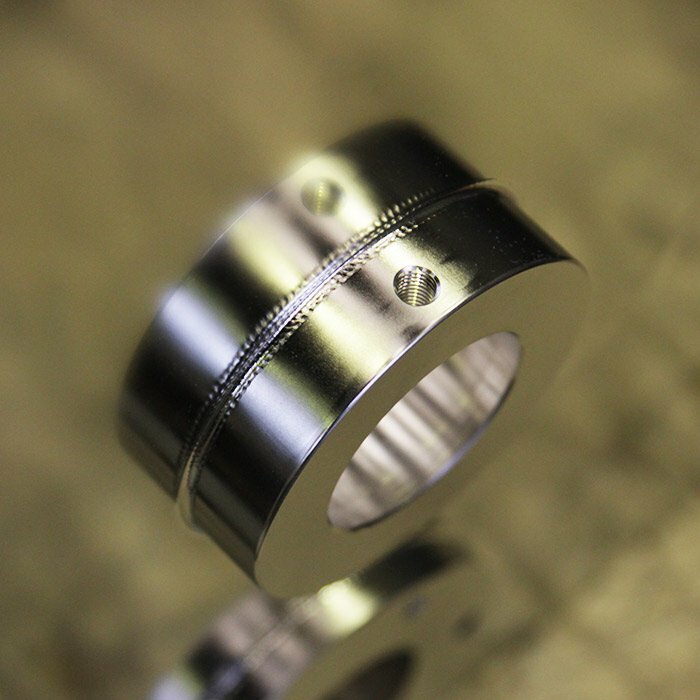 Through this technique it is in fact possible to make this alloy strongly protected and therefore passive, also removing any micro-bevels that may be present and levelling the roughness profile, obtaining a result both aesthetically and functionally. Electropolishing involves removing the surface layer of an object. This removal takes place thanks to an electrolytic process, which "exfoliates" the ion surface after ion. Thanks to this technique, it is possible to eliminate micro-bars resulting from previous manufacturing processes, even of extremely small dimensions. Stainless steel electropolishing normally removes a few microns of material, and this removal is directly proportional to the initial surface conditions. The higher initial roughness is, the greater removal will be. Bama uses specially designed tanks up to 7 metres in size for very large objects and a fully automated system for smaller objects. Thanks to the stainless steel electropolishing that Bama carries out with the most modern technologies, it is possible to obtain excellent results for every type of object, even those with extremely particular shapes. In addition to the aesthetic level, a treatment such as stainless steel electropolishing also has practical effects: extremely smooth and flawless surfaces are in fact much easier to clean and sanitize. This can be an advantage in various fields, from the domestic one for contact with food to the pharmaceutical or chemical one. 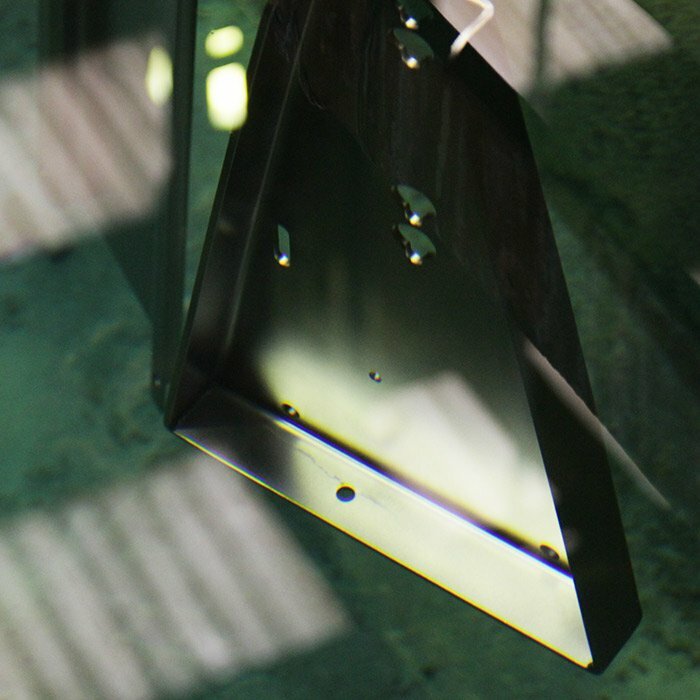 After pickling and passivation treatments, the stainless steel is placed in a tank equipped with anodes and cathodes and containing an acid-based electrolyte. An external current source passes through this solution and reaches the object, where - by means of a chemical reaction - the surface ions detach when entering the solution. The electric current acts in particular on those small reliefs that are formed during processing, eliminating them and compacting the surface layer. The particularity of stainless steel electropolishing compared to other materials is that the electric current tends to remove iron and nickel atoms rather than chrome atoms, preserving and increasing the passive layer of the material.